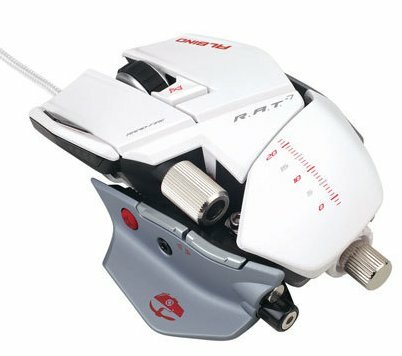 Mad Catz Interactive, Inc. announced today the shipping of the Cyborg R.A.T. Albino Gaming Mouse, compatible with both PC and Mac and available for order today. A special edition of the Guinness World Records-winning R.A.T.7, the Cyborg R.A.T. Albino comes complete with an enhanced 6400DPI sensor, improved tracking capabilities and a matt Albino white finish.